This is the final excerpt in this series. Authors Whit Hibbard and Dr. Lynn Locatelli conclude that investing in training for anyone handling and moving livestock is cheaper and more effective in the long run than trying to create and install expensive handling equipment that doesn’t necessarily do the job. Editors Note: This is the sixth and final excerpt from Stockmanship Journal’s article “Grandin’s Approach to Facilities and Animal Handling: An Analysis” (Volume 3 Issue 1). (Click to read Part 1, Part 2, Part 3, Part 4 and Part 5). Next week we will share Temple Grandin’s response to this analysis. 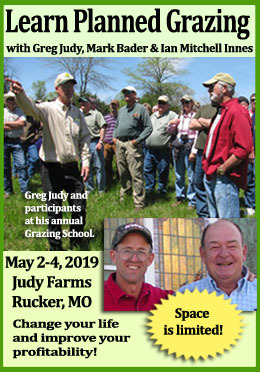 The authors, Whit Hibbard and Dr. Lynn Locatelli, are both practitioners and teachers of the Bud Williams school of stockmanship and are well known for helping feedlots and ranches improve their operations through Low-Stress Livestock Handling education. In this article they look at the handling facilities designed by Temple Grandin, and compare it to their experiences with good stockmanship and animal behavior. Each section begins with a summation of Grandin’s position followed with the analysis. The final article in this series will be a response from Temple Grandin. 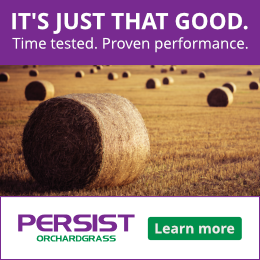 This is groundbreaking analysis and On Pasture is honored to be selected to share it as excerpts. If you’d like to cut to the chase and read the entire article, here is the link. Many of Grandin’s ideas on and techniques of animal handling came from Bud Williams, who she recognizes as a “highly, and miraculously, effective” livestock “handling expert.”  Grandin attended several of Williams’ stockmanship schools. However, the ideas and techniques that she presents are her interpretation, and sometimes misinterpretation, of his material. When it comes to a study of animal handling we recommend that the interested reader and serious stockman go to the source and study Williams’ stockmanship directly. So, we will not do an extensive review and analysis of her interpretation. However, there are a few points that should be clarified here. Regarding the point of balance—“balance point” for short—Grandin believes that it is at the shoulder. Although this is generally true, we concur with Williams that the balance point can vary with the animal and be anywhere from the nose to the tail. The key, according to Williams, is to read and respond to the individual animal; they are all unique. This is the key to successful, proper cattle handling. Treat each animal and herd as it requires; if we learn to do that we minimize our struggles and optimize our production event outcomes. Grandin contends that Williams’ zigzag motion (that is used to gather and drive animals) works because it triggers an instinctual tendency of herd animals to form a loose bunch for protection under the threat of a predator. Williams disagreed with this notion because he never thought in terms of predator-prey; he thought in terms of how to move properly to get a certain effect. What drives animals ahead, he found, is moving in a zigzag pattern with straight lines at a forward angle that applies effective pressure into animals’ sides, which is not the windshield wiper pattern advocated by Grandin. Furthermore, a good handler does not mimic predator movements as Grandin advises; rather, a good handler is a leader who tells the cattle to get together and that we’re going someplace. Grandin states that “handlers calmly simulating nonthreatening but predator-like movements will have little trouble moving animals through chutes.”  Why don’t the handlers just learn how to use the system they are working and how to drive cattle properly? If they do, there’s no need to act like a predator, then pretend that they aren’t one! “Extremely tame animal herds with little or no flight zone usually respond best to being led instead of herded,” according to Grandin. If you buy into this you don’t buy into Williams’ Low-Stress Livestock Handling (LSLH). Animals that are led choose whether to follow. They are not working for a handler and they do not understand how to take guidance from the handler. In other words they do not know how to be driven (probably because the handler doesn’t know how to drive animals). This leads to extremely stressful situations for the animals because they are used to doing whatever they want and understand nothing. So, for example, when pairs are led into the corrals (at least the ones that choose to enter) for weaning, they usually experience chaos because the handlers don’t know how to drive or properly handle cattle, and the cattle don’t know how to be driven. Consequently, the handlers resort to force, which escalates until the calves and cows are driven apart, then the calves are mashed onto a truck or trailer and transported to a sale barn for more mashing. Diagram from Humane Livestock Handling, T. Grandin & M. Deesing. Used with permission of T. Grandin. We agree with the logic behind this schematic; that is, that as the handler walks front to back (what we call “reverse-parallel”) and passes the balance point of each animal, it will move forward. Of course, for this to work it requires that the animals be able to see the handler. For this reason, we assume, Grandin has acknowledged that snakes with the top half of the inside arc open works well. Also, natural following behavior is capitalized on here as well; at least if you have good movement and there are no large gaps between the animals. If you have bad movement, meaning that the animals are upset and not in a normal frame of mind, they are likely to stall and often startle at anything unfamiliar to them. 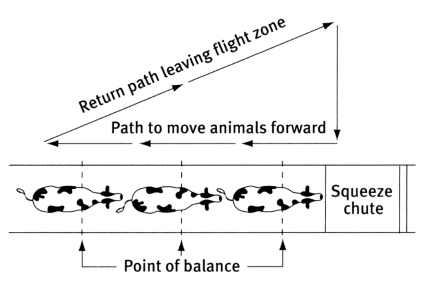 The return path depicted is correct because it is essential that the handler return outside of the animals’ flight zones. A common mistake is for the handler to return by retracing their path, which is a back to front (what we call “forward-parallel”) movement that slows and stops movement. Surprisingly, a schematic in Grandin’s popular Humane Livestock Handling book has the handler working the outside of the arc. This is problematic because the handler, especially if he or she uses a flag, will pull the attention of the cattle away from the intended target (the snake entrance), thereby slowing, even stopping movement, which creates confusion for the cattle and a challenge to the handlers. Handlers should always work the inside arc of a snake. We also agree with this diagram for the same reasons as stated above. Bud Williams taught the same pattern when he began teaching in 1989 (Guy Glosson, personal communication, Dec. 16, 2013). One final note on animal handling that needs clarification, and that does not come across in Grandin’s writings, is that working animals is a very fluid, continuously changing process based on feel. “Feel” was as important to Williams as it was to the great natural horsemen, Tom Dorrance and Ray Hunt. By understanding, using, and being true to Bud’s concepts and techniques, you can always accomplish the task you set out to achieve. But, how you apply those concepts and techniques varies, depending on such things as the previous experience of the cattle, the disposition of the cattle, the immediate conditions (e.g., facilities, level of exhaustion or stress, weather, geography). So, understanding LSLH basics and adjusting as needed to what the cattle need is crucial. Doing the same thing every time will not work every time in every situation. Imagine using the same body language and cues, such as spurs, on a very sensitive horse and a dull horse. The effect will be quite different. So, do we use spurs never, always, or when necessary? Williams was a “when necessary” advocate. It seems that Grandin is more “black and white” (e.g., never use spurs because they’re bad, or always use spurs because they’re necessary). Learning how to become a highly skilled cattle handler is a lifelong process. If handlers possess the desire to attain a high skill level, and are willing to always pay attention to the behavior of the cattle and how they respond to us, there is no limit to what they can achieve. If handlers simply want to effectively do their jobs, understanding the basics of cattle behavior and properly applying the principles and techniques of LSLH will be quite rewarding. The only inputs are discipline and effort. Temple Grandin is due enormous credit for her monumental efforts in increasing awareness of animal welfare—both within the industry and the public sector—including the fact that cattle are sensitive, thinking beings with emotions and therefore deserve humane treatment and proper handling. She also is due credit for her significant influence on systems design and animal handling at abattoirs. We agree with and support both her positions on animal welfare and her abattoir systems. We do challenge, however, the cost-effectiveness and appropriateness of tub systems for farms, ranches, stocker operations and feedlots. We have seen some tub systems that work well and many that do not. Grandin argues that the systems that don’t work well are due to one or both of two factors: either they were designed wrong or the people aren’t trained properly. The latter is generally the case, but there are several design elements that make solid-sided, curved systems very challenging, as discussed above. 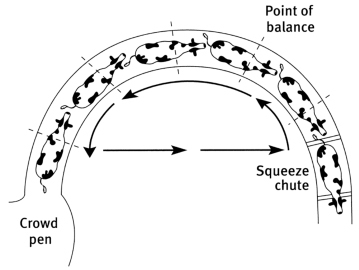 Furthermore, the facts that cattle (a) don’t think that they are going back to where they came from when they go through a 180-degree curve, (b) tend to slow down when they encounter solid-sides, and (c) naturally travel straight and not in curves, seriously challenge Grandin’s basic principles for why solid-sided, curved systems work. Additionally, these systems are inimical to good stockmanship because they impede effective communication. One problem is that these systems are perpetuated and applied in inappropriate settings (e.g., ranches) because many livestock operators turn to the local farm and ranch supplier and rely on their salesforce to “help” them select a cattle-handling facility. Many of these pre-fab systems—which salesmen are all too eager to sell—are poorly designed and incorrectly labeled as Grandin systems. We applaud Grandin for developing design criteria and materials (much of which is available free on her website, www.grandin.com) that can assist appropriate operations (e.g., abattoirs) with facility design. It was the purpose of this article, however, to challenge some of Grandin’s design principles and features, and provide an alternative view to what constitutes economical, cattle- and handler-friendly facility designs. Grandin claims that her systems are “efficient, economical, animal- and producer-friendly,” reducing the time spent processing cattle by up to 50% while reducing labor. That may be true with some of her systems but certainly not all. In our experience, many tub systems create frustration and challenge for the handlers, are frightening to the animals, and are costly and labor intensive. Furthermore, we have seen instances where converting from a tub system to a BudBox system significantly reduced processing time and labor. The most important thing is that stockmen need to take care of their animals and learn how to handle them properly. Animals are not assembly line parts. Animal husbandry, which has been eclipsed by animal science, needs to be resurrected, and we need to go beyond trying to solve all of our problems with injectable products and mechanical “solutions” to behavioral problems. LSLH has the potential for immensely beneficial outcomes with minimal, if any, inputs, which is always welcome in the livestock industry. When we start taking care of our animals and learning how to handle them properly, our livestock handling systems, whether of Grandin or Williams design, will be much more effective and efficient. We advocate an emphasis on animal handling training and skill building which is good for the people, the animals, and the operation. It’s a win:win:win. The people win because their jobs are easier, more interesting, rewarding, even fun. The animals win because they are handled better, and they are healthier and happier. The operation wins because it runs more efficiently, effectively, and profitably. 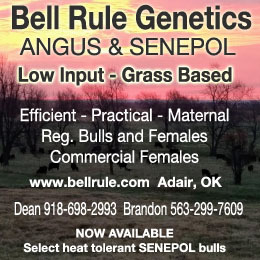 In sum, Grandin’s “aim is to create the most effective livestock-handling techniques and handling facilities as possible.”  We believe that has already largely been accomplished by Grandin at the abattoir level, and Williams at the feedyard, ranch, stocker, and farm level.